JD and I decided to take this one a little easier, trading our life jackets for sugary treats. "bakery hopping", you know, like bar hopping but with bakeries in place of bars. pretty, colorful confections. We sampled just about one of each flavor. but I'm not sure I would do it again. $42 for twelve cookies seems a bit much. and a pumpkin scone, and cookie brownie to go. heading back downtown for the day. Have you ever been to Laduree? 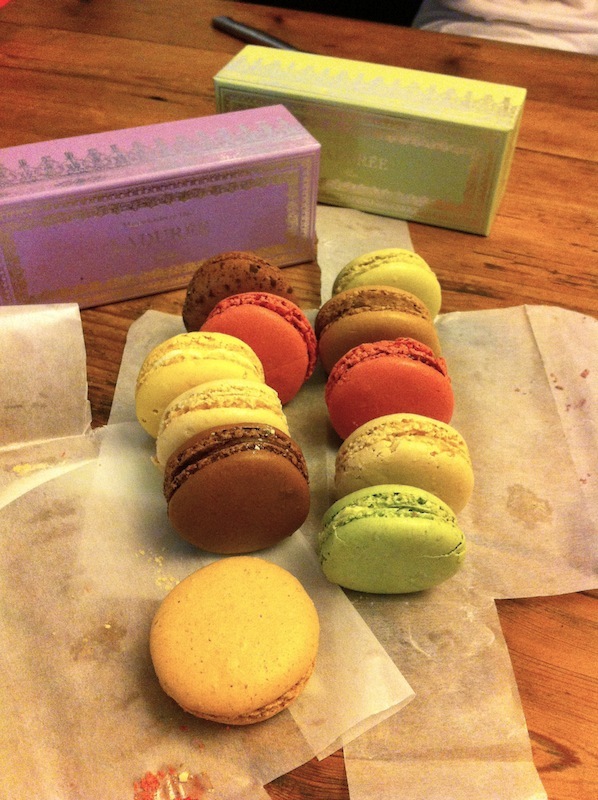 i want to goooooooo ssooooo badly to Laduree! i really should search if there is on in munich! love the photos! love Macaroons! and i love your blog, you are the cutest!